Having only recently moved into a new flat in London, I was naturally inclined to find some new bed linen, to help make my new home, a home. Previously, I have usually chosen crisp, white cotton sheets, armed of course with a particularly high thread count. But having perused the variety of bed sheets now gracing myza, I have also fallen completely for the dreamy, softly-crumpled French linen-look. Not only is its appearance so effortless and relaxed, but the fact that ironing is rarely necessary with linen bedding – due to its crumpled look and texture – was music to my ears. Piglet had originally caught my eye due to its unique, rather cute name. But soon I realised, what lied beyond that was so much more, in the form of beautiful French bed linen, available in a range of gorgeous harmonious colours, including Blush Pink (another favourite of mine), Dove Grey, knocked-back Egyptian Blue and a wonderfully crisp White. Available from £138, Piglet Duvet Covers come in a variety of colours, from Blush Pink to White, from Indigo Blue to Dove Grey, and more! When the bed linen arrived, I was pleasantly surprised to find that it came in its own charming linen bag. A beautiful touch, it was easy to see why Piglet has become such a hit with everyone who tries it. I chose a duvet cover with pillowcases in the classy Midnight Stripe (Navy/White), pairing it with white sheets. Despite being tempted by other colours, my reasoning to opt-for the Midnight Stripe derived from the minimalist style of my bedroom, characterised by white walls. So, the packaging was beautiful, the style and colour of the sheets were fantastic. But what about the feel of the sheets? So luxurious and soft, I immediately noticed an improvement in my sleep, managing to fall asleep quickly even on the hottest of nights. This is one of the Piglet’s linen fabric’s greatest strengths – its breathability. 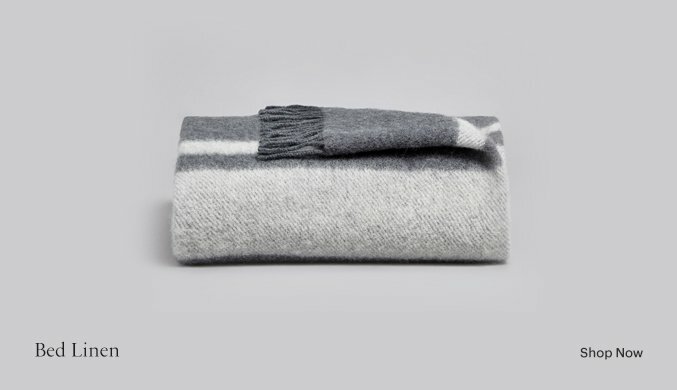 Made of 100% natural stonewashed French flax (using cellulose fibers present inside the stalks of French flax), Piglet’s linen allows extraordinary airflow. And as a somewhat ‘stiff’ fabric, linen is less likely to cling to the skin, allowing for better airflow over your body. Each of Piglet’s Duvet Covers comes with brown button closures, and despite their lusciously soft and natural feel, they’re each machine washable. In many ways, considering the heatwave that has persisted in the UK for the past several months, I can’t imagine having been able to sleep just as much as I have, without Piglet’s bedding. So light, French flax linen is in fact, 2-3 times more absorbent that cotton, meaning any sweat that has managed to find its way onto the sheets has quickly dried out to become cool again. Caring for Piglet’s bedding was remarkably easy. All I had to do to maintain the comfortability of the bed linen, was to machine wash it, before drying in a tumble-dryer, or if preferred, on a washing line. Since then, I’ve learnt that the more French linen is washed, the softer the fabric becomes. 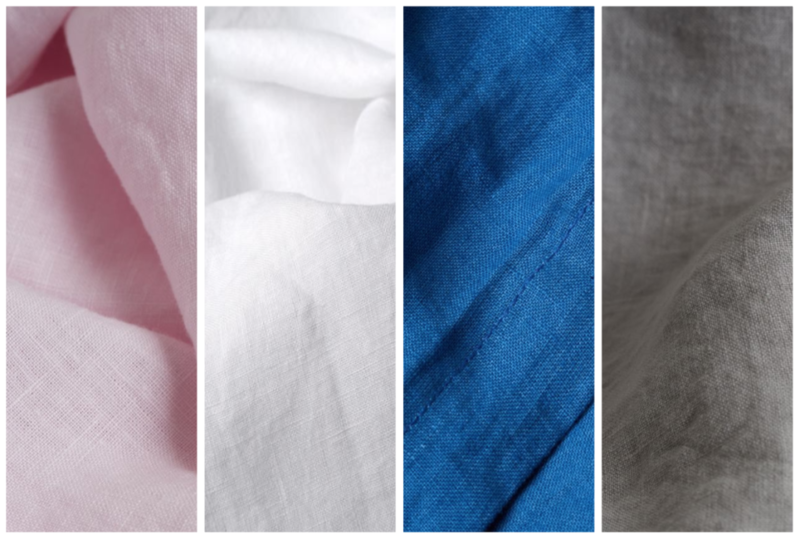 And if properly cared for, French linen can last for as long as three decades! Piglet’s French flax bed linen is available in sets (providing you with a saving of 15%), or individually. Having now experienced the pleasure of natural linen bedding first-hand, I would be surprised for anybody not to be charmed by the linen’s stylish rustic appearance, and for me, the pillowcases, the sheets and duvet cover delivered at each and every level.